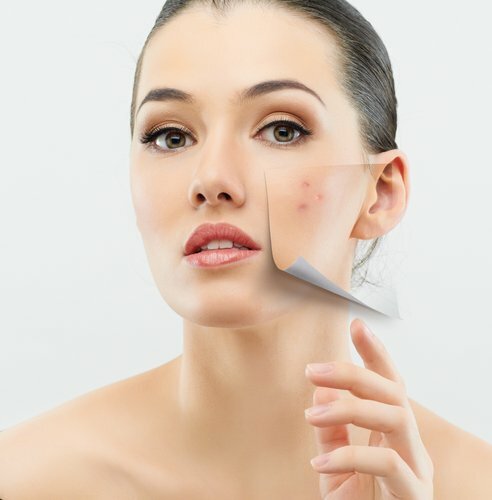 Homemade face masks for acne made with natural ingredients are very effective remedies to get rid of acne and pimples. They are easy to make, inexpensive and not only prevent acne breakouts, but also nourish your skin and eliminate acne scars. Read on here for some of the best DIY facial masks for acne recipes that can be made easily by using natural ingredients at home to treat your acne and pimple problems. 1. Facial Mask For Acne With Honey And Cinnamon: Honey is highly useful to treat acne due to its antiseptic and antibacterial properties. While its anti-inflammatory characteristic is beneficial for reducing inflammation and redness caused by acne and pimples, the antibiotic nature helps in exterminating bacteria that may cause acne. For best results use raw, organic honey and not the processed one. Cinnamon is antimicrobial and anti-inflammatory in nature that helps to stop bacteria and germs in their track. So, when these two natural powerful ingredients are combined together, they produce a very effective home remedy to cure acne and pimples. Method: Mix well 2 teaspoons of honey and 1 teaspoon of cinnamon powder until completely blended. If you find the mixture is too thick, add in a little more honey. Rinse your face with lukewarm water and pat it dry, leaving a little damp. Using your fingers, apply it either on your whole face or spot treat. Leave it on for 10-15 minutes, and then rinse it off with water and apply a toner. Instead of toner you can use either freshly squeezed lemon juice or a mixture of 1 part apple cider vinegar and 2 parts distilled water. You can apply this acne face mask almost daily. 2. Apple Cider Vinegar Homemade Face Mask For Acne: Apple cider vinegar contains alpha hydroxyl acids that help unblock skin pores and dissolve dead skin cells. It also reduces blemishes, restores the natural PH of your skin, and minimizes the appearance of skin pores. Green tea is chock-full of antioxidants and has anti-inflammatory properties all that can decimate free radicals leading to bright, flawless, and younger looking skin. Method: Mix well 1/2 teaspoon of apple cider vinegar, 1 teaspoon of cooled green tea, 2 teaspoons of sugar and 1/2 tea spoon of honey. Stir the mixture thoroughly. Add more sugar to get consistency as desired. Apply the mask on your entire face and message it for some time using your fingers in order to get rid of dead cells and improve circulation. Let the mask sit for 1-15 minutes and then rinse it off with water. The sugar acts as a natural exfoliator helping in breaking scar tissue and cleaning skin pores. You can use this mask for once or twice a week. 3. Baking Soda Acne Face Mask: It has gentle antiseptic properties that empower it to fight off bacteria and fungus. It also dries out excess oil which can otherwise block skin pores and acts as a microdermabrasion to agent to remove dead cells. Method: Mix well equal parts of baking soda and water to make a spreadable paste. Message it onto the freshly cleaned face for 2 minutes and let sit the pack for about 15 minutes. After the mask has dried, rinse it off completely with lukewarm water and pat dry your skin with a clean soft towel. This mask is quite gentle, so you can use it several times a week. 4. Turmeric, Milk And Honey Homemade Facial Mask For Acne: Turmeric powder has anti-bacterial property that even has ability to exterminate P. Acnes bacteria (these bacteria cause acne breakout). This natural ingredient even has anti-inflammatory and anti-oxidant properties. All of these make turmeric powder helpful in treating acne, reducing and acne scars. Raw milk has lactic acid that acts as a mild exfoliant and provides anti-aging benefits. Method: Mix well 1 teaspoon of turmeric powder, 1 teaspoon of honey and 1 to 2 teaspoons of milk until they form a spreadable paste. Apply the mask to your face and neck using a makeup brush, turmeric powder can stain your nails and fingers yellow. 5. Avocado Face Mask For Acne: Avocado is fully packed with vitamins and minerals and acts gentle on irritated skin. Combine it with honey’s antibacterial properties, and what you get is an effective facemask to treat acne. This mask helps in soothing inflamed skin and exterminating bacteria. Method: Rinse your skin with warm water and pat dry. Take out the meat of 1 fully ripe avocado and mash it into a lump-free paste. Mix the paste with 1 tablespoon of honey, and stir it well to form a smooth paste. Message the mask onto your skin with your fingers in circular motions and allow it to sit for about 15 minutes. Rinse it off thoroughly with lukewarm water and pat your skin dry. 6. Egg White Mask: Egg white helps reduce acne and fade out the acne scars left behind. Egg white is packed with protein and minerals that help to heal the skin and recreate healthy skin cells. They also help sop up extra oils produced by the skin that can block skin pores. Method: Separate the egg white of 1 egg and beat the egg white until frothy. Mix in ½ teaspoon of lemon juice. Rinse your face with warm water to open skin pores and pat dry. Apply the mask and let it dry out. Rinse off the mask with water and pat dry your face with a clean, soft towel. Tip: Before applying any of the above DIY acne face packs first remove all makeup and rinse your face with warm water to open skin pores. Then apply the pack so that it penetrates deep into your skin to provide best results.